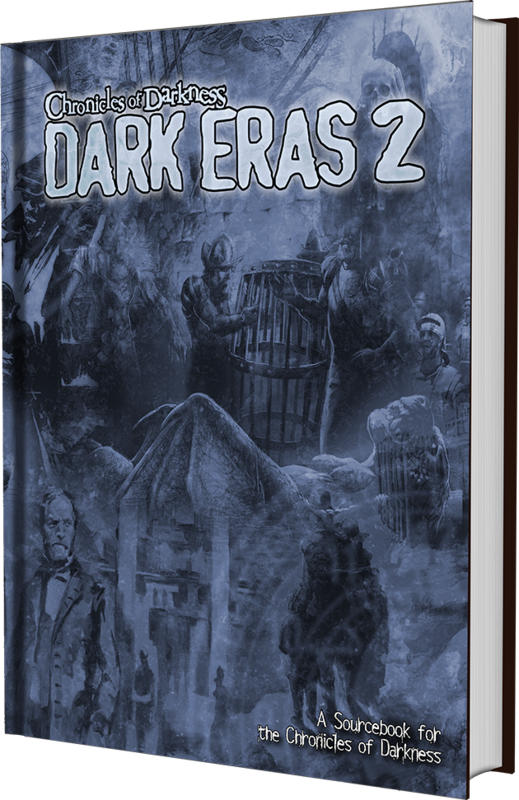 Matthew here with a preview of some fiction and characters from Dark Eras 2. Specifically, as we recently passed the centenary of the day the guns fell silent, I felt it appropriate to provide you with some of our content from the Great War chapter. 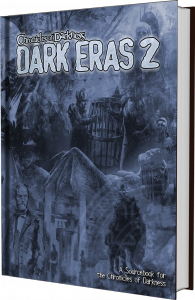 I’m very pleased with the sensitive and respectful way our authors have handled this chapter, making it a horrifying, moving, and deeply thoughtful era in which to set your chronicles. Otto’s hands were shaking again, the rattle of the small tin of curios he collected from the British trench last week sounding around the cramped dug-out he called home for the moment. It seemed that every time they took one step forward they had to turn around and take it right back again. Musketier Otto Meyer was a survivor. Some of his comrades, those still alive, had joked that Otto could become the German word for “lucky” if he made it back home. He had survived explosions that wiped out regiments, been found wandering the wasteland, dazed after machinegun fire ripped apart his wave in the last push. When he was brought into the captured trench by the following troops, he started picking up random effects from the British dug-outs like he was perusing a shop, placing each within the empty tobacco tin that once caught some shrapnel destined for his heart during the Marne offensive. Of course, the Germans had no word for “lucky,” and Otto felt now he understood why. Surely, only a man who had seen what he had seen and experienced these sorts of horrors could truly be called lucky. That the litany of agony and terror passing before his eyes should be laughed at like a comedy as black as the hearts of their uncaring commanders. Hugging himself, he stumbled out into the rain. Perhaps the feeling of that imperishable cold would invigorate his torpid body and break the nightmare he found himself in. All was quiet in the trench that night. Otto could see a small group of engineers were taking advantage of this time to lengthen the line, their shovels tirelessly slinging black mud up onto the lip of the trench, obscuring the horizon from view. For a moment, he allowed his eyes to close and let the water wash over him, perhaps he could drown here, a victim of mere nature. Not the steel and chlorine fires of industry that had taken each and every other fool who had signed up with him. A thud behind him jarred him awake. Otto turned to look, seeing only one of the night watchmen looming beside the door to his dug-out. “All is well.” intoned the night watchman in a voice that was like the landing of an unburst shell in thick earth. “On that we can definitely disagree.” retorted Otto, shivering in the chilling blast of the autumn rain. He regarded the night watchman, he’d seen his sort around before. His skin was so caked in mud he looked more like a golem than a man. His stature was broad and slab-like. He stood silent, offering no reply. Otto turned again as an animal howling echoed over the drumming of the rain hitting the corrugated iron roof of the dug-out. He glanced back at the night watchman, watching Otto watching him. “What’s your name anyway friend?” asked Otto. “Aren’t we all?” hissed Otto, with a rueful chuckle. Herr Faceless simply stared back, in quiet contemplation. Edward Sallow’s dreams of glory in the field of battle have been quashed in this new era of trench warfare. Even the cavalry units have machine guns these days. Still, he has his sword and his courage, and waits obediently for his time to come. Field Marshal Haig believes that the cavalry will be vital to success in the Somme, charging through the breach that surely must open. Unteroffizer Klaus Fischer has found a new enemy to fight — the rats. Rats, hundreds of thousands of them, scurry through the trenches and no-man’s-land. They eat the flesh of the dead, steal or befoul food, and swarm as carpets of fur and teeth. Klaus, though, is very good at killing rats. Chloé Moreau’s day begins at dusk; she works the night shift in a hospital filled with the groaning wounded. It is a real hospital, a sturdy building, although one never intended to deal with the tidal wave of bloodied victims that wash through its doors. She is always tired, so tired. The tasks never end. She fills pails with oozing, blood-crusted dressings. She struggles to get anguished, tormented men to lie still and take their medicine. She treats the infections of flesh as best she can, but there is little she can do for the nightmare wounds carved through their psyche. Next entry Now Available: Guide to the Night in print!